The passion with which Bobby Floyd plays piano, organ and keyboards are the result of his natural ability (discovered at the age of two), his love of music, and years of practice. Whether performing jazz or gospel, as a soloist, with a trio or big band, he is a superb musician who has many distinguished appearances to his credit. 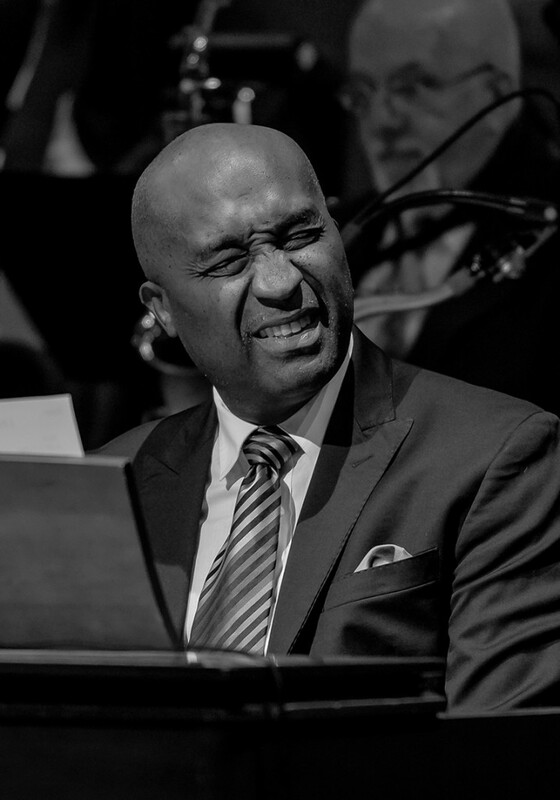 Floyd has toured and performed extensively with Ray Charles, Rusty Bryant, Jeff Tyzik, Chris Howes, Byron Stripling, Sarah Morrow and his own trio. His current touring schedule includes performances as featured soloist with orchestras throughout the USA and Canada, including the Rochester Philharmonic, Vancouver Symphony, Columbus Symphony, Edmonton Symphony, Detroit Symphony, ProMusica Chamber Orchestra, and many others. Floyd is also a frequent soloist with the Columbus Jazz Orchestra where his soulful sound has backed artist such as Chuck Mangione, Houston Person, Branford Marsalis, Roy Hargrove, Mavis Staples, Gerald Wilson, Wycliffe Gordon, John Clayton and countless others. His recent performances in Europe and Japan have garnered high praise and he continues to accompany the top jazz, blues and gospel artist in the country. Bobby has completed three recordings: Interpretations, Setting the Standards, and Floyd’s Finest Gift. His next project, soon to be released, is a live performance recorded in Spain. Other accomplishments include recording and composing on several of Vince Andrews’ and Chris Howes’ projects. He has also recorded with Gerald Levert (Groove On) and Faye Robinson (Remembering Marian Anderson). Additionally, he is featured on a Rusty Bryant album, Rusty Rides Again, which received five stars in Downbeat magazine. Floyd has taught at The Ohio State University, his own private studio and the world famous Jamey Aebersold Jazz Workshops. His critically acclaimed CD’s Interpretations, Setting the Standards, Floyd’s Finest Gift, and Notes to and from My Friends demonstrate his ability to electrify audiences and have received the highest praise from critics and musicians alike.